The worldwide trade in plants for use in aquaria and ponds is a multi-million dollar industry. Along with fish, aquatic, semi-aquatic, and amphibious plants are exported largely from tropical and subtropical regions to various countries around the world. While many of these plants are harvested from the wild, many more are cultivated in large nurseries in warm regions where the growing period is long and plants are not costly to cultivate. Aquatic plants come from a wide variety of taxonomic groups and association with aquatic habitats is not restricted to any single plant evolutionary lineage. 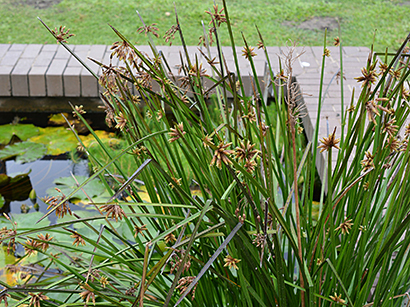 Many aquatic plants are not suitable for cultivation and commercial trading for aquaria or pond gardens. Some are protected by various governments if they are endangered. Or they may not be suitable because they are of large size, specialized growth requirements, or have propagation limitations. Plants that are associated with water have a remarkable variety of growth forms regardless of their natural history. Strictly aquatic plants (hydrophytes) have an obligate submerged, emergent, or floating growth habit. Some hydrophytes are strictly submersed and lack any aerial foliage or emergent growth form (e.g., many members of Hydrocharitaceae), but these are rare. Most hydrophytes have an initial or periodic submersed stage, with more advanced growth becoming emergent or emersed as the plant grows and/or the water level falls (e.g., seasonal inundation). Semi-aquatic plants have aerial leaves and stem but require roots to remain in moist ground; these are typical of riparian and wetland areas. Amphibious plants grow equally well submerged or emersed, and often with distinctly different growth morphology or phenology between the two habits. Helophytes are essentially terrestrial plants that tolerate extended periods of time submerged in water but usually live a terrestrial existence. Many rainforest plants can grow as helophytes as they tolerate extended periods of soil waterlogging and low light levels (which is incidentally also typical of submersion) in the rainforest understory. Aquatic plants live in a highly dynamic and hostile environment characterized by the ephemeral availability of water, constant predation, intense competition for light and nutrients from other plants and algae, shading by planktonic and epiphytic algae, sediment, and water turbidity. Consequently, to be competitive and survive in these environments, aquatic plants are characterized by rapid growth rates, strong chemical allelopathy, and remarkably effective mechanisms for dispersal, including seeds, rhizomes, stolons, and detached leaves and shoot nodes that can develop into separate, clonal plants. The movement of aquatic plants across international borders is of considerable quarantine concern. The ability of aquatic plants to disperse widely both through vegetative propogation and by sexual reproduction (e.g., numerous easily-dispersed and long-lived seeds), can result in serious ecological consequences if they are released into waterways free of predation, where they often become dominant and displace native species. The most common pathway of entry for aquatic weeds into new areas is through discarded aquarium material. 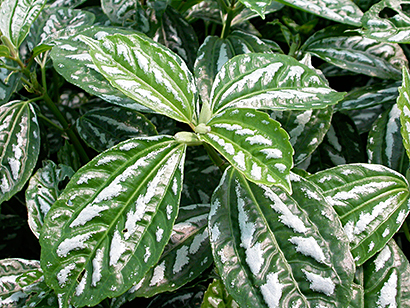 Many aquarium plants, with origins in the aquarium trade, have subsequently become serious environmental weeds in various countries, including water hyacinth (Eichhornia crassipes), Salvinia (Salvinia molesta), East Indian Hygrophila (Hygrophila polysperma), Cabomba (Cabomba caroliniana), Asian Marshweed (Limnophila sessiliflora), water lettuce (Pistia stratiotes), and Melaleuca quinquenervia. Preventing the introduction of invasive aquatic weeds into new areas, and slowing their dispersal once introduced, requires correct identification by authorities at international entry points, and by local managers once a weed is introduced. The sheer diversity and phenotypic plasticity of aquatic plants makes their identification difficult, particularly at young stages.